The Civic Center Master Plan for the Universidad de Los Andes was an invited competition and a collaboration with the Bogotá firm RIR Arquitectos. Universidad de Los Andes is a private research institution serving more than 24,000 undergraduate and graduate students. It is consistently regarded as one of the top 10 higher education institutions in South America. Situated at the foothills of the Monserrate mountains, the campus is comprised of restored haciendas and modern buildings organized around an interwoven network of landscaped courtyards, terraces, alleyways and grand staircases that ascend gracefully from Parque Espinoza toward the top of the hill. The competition site is located at major gateway to the campus at the intersection of Parque Espinoza and Carrera Primera, and lies between the hill and the flats in the historic center of Bogotá. Our proposal focused on the integration of the city and the campus by blurring the boundaries and merging the public realms. 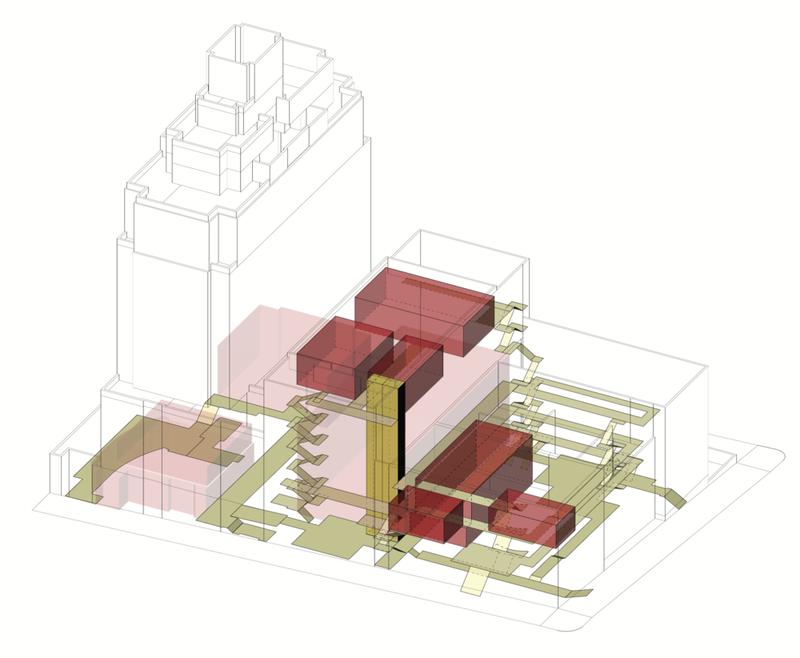 The buildings are carefully considered to work with the topography and preserve critical sight lines. The Civic Center consists of three major buildings: a Student Success Center, an Academic Exhibition Building, and an Administration Building with a multi-purpose black-box theater, with a total of 24,155 square meters. A series of landscaped plazas, courtyards, terraces and roof gardens expand the campus landscape tradition,enhancing the open space network throughout the campus and encouraging better access between the campus and the city. Working with the steep grades, pedestrian connections in the east-west direction bring students up and down the hill expeditiously in their daily routine. North-south pedestrian connections, generally level, focus on the surrounding neighborhood and serve as community gathering places. The Master Plan encourages continuity between outdoors and indoors, public and private spaces, flats and hills, the city and the campus, creating a series of contextually meaningful experiences that seamlessly connect the vibrant urban setting with the vigorous academic environment. 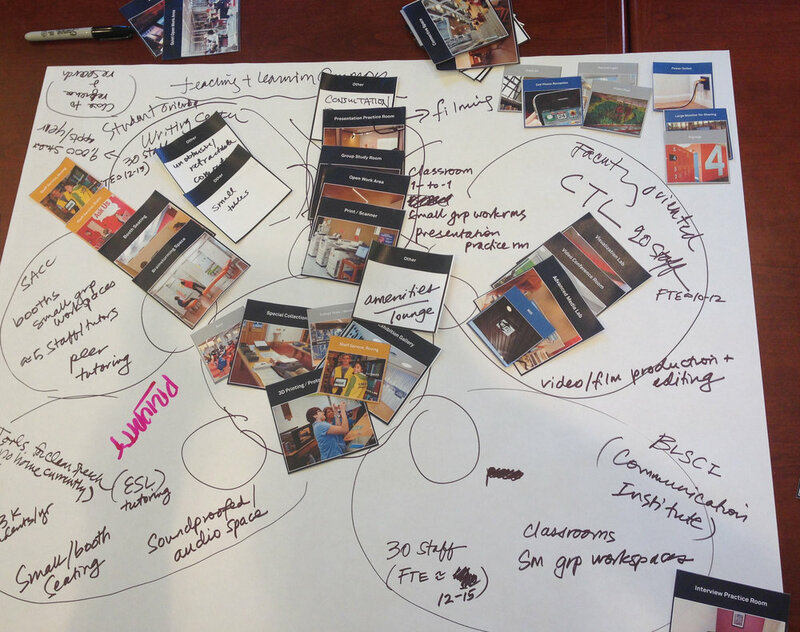 A Space Master Plan was prepared to re-envision the use of Newman Library to meet the changing practical needs of today's students and align its services and spaces to the evolving pedagogy model. The project included the following components: staff and leadership engagement, programming, concept alternatives, and fail plan direction and phasing strategy while working with the challenges of no swing space to facilitate the proposed renovation and the building must remain operational during each construction phase. Our approach, while collaborating with AECOM Strategy+, is based on user research and engagement. The solution is specific to Baruch's needs and the constraints and opportunitities presented by the existing building. Based on the input from the stakeholder workshops and steering committee meetings, we established a cohesive plan direction for development and implementation. Stony Brook University has a 1,300- acre campus serving 12,000 students at the eastern end of Long Island with three major components: the Main Campus, the Health Sciences Campus, and the South Campus. The facilities master plan included the evalua on of all building and infrastructure, as well as the transportation and open spaces on all three campuses. The master plan would accommodate an increase of student popula on from 12,000 to 15,000, nearly 2,400,000 square feet of academic and research buildings, and 1,800 units of on-campus housing. The facilities master plan provided better connections across the three campuses and addressed the issues of arrival sequence. Pedestrian and vehicular conflicts at several locations were resolved by relocating parking or realigning roadways. 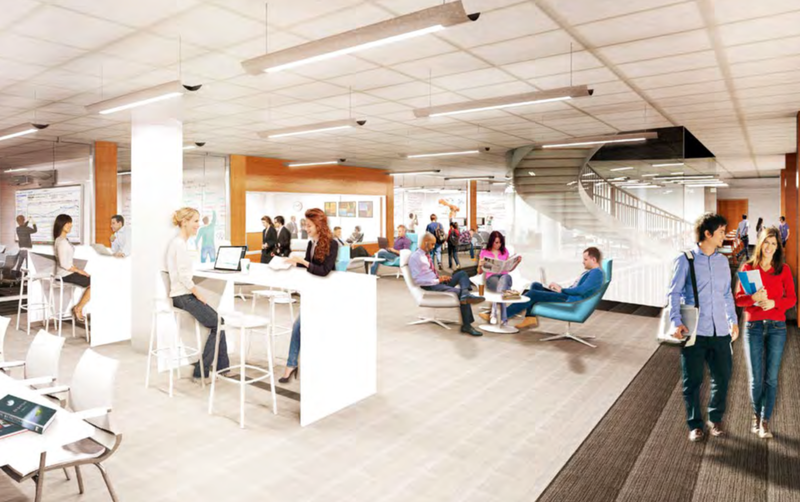 A major improvement was the Health Science Concourse, where new student amenity spaces were created for the medical school, shaping a new identity and address for the Health Sciences Campus. * Projects by Jonie Fu as a Principal at AECOM. ** Projects by Jonie Fu as a Partner at Cooper, Robertson & Partners. *** Projects by Fred Wilmers as Director at Rafael Viñoly Architects.